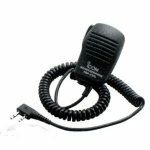 The Icom IC-9100 all-in-one HF/VHF/UHF transceiver covers not only HF, 6M, 2M, 70cm and 23cm* Amateur radio bands, but also a variety of operating modes including SSB, CW, AM and FM. It also features dual band simultaneous reception, satellite mode operation and RTTY decode on the display. One of the most exciting features of this model is that it is capable of D-STAR (Digital Smart Technology for Amateur Radio) DV (Digital voice) mode operation above the 10M band. The D-STAR DV mode allows simplex, repeater, Internet linking between repeaters, operation with low speed data messaging, GPS position reporting and other data communications capability. 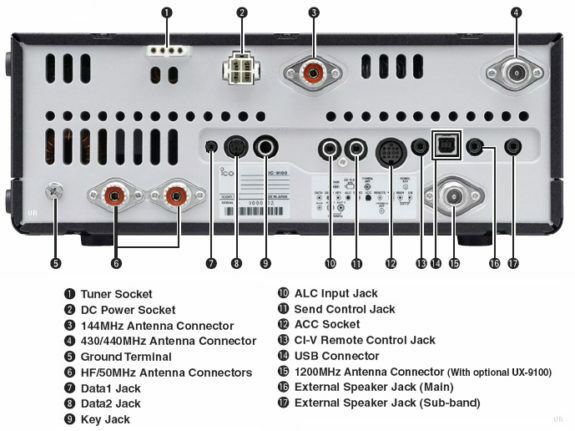 Icom has also engineered into this advanced model a combination of its IF DSP and double conversion system technology providing performance comparable to Icom’s range of high tier HF/6M transceivers. * Optional UX-9100 23cm band unit is required. The IC-9100 fully covers HF/6M, 12M, 70cm amateur bands in multiple modes. By installing the optional UX-100 23cm band unit, you can be operational on the 23cm band immediately. Two independent receivers in one radio. 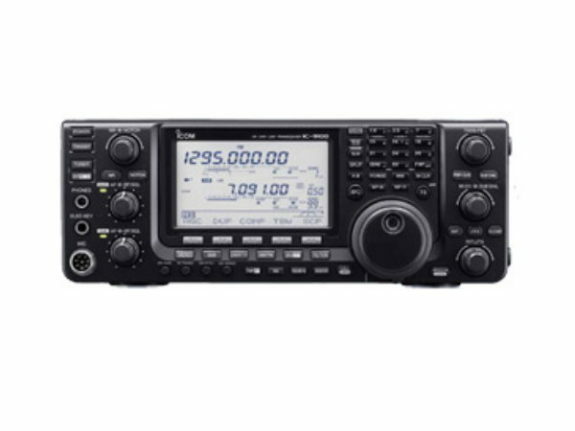 The Icom IC-9100 receives two different bands simultaneously. In addition, the main and sub-band audio can be controlled with independent volume and squelch knobs, and received audio can be heard separately when external speakers are connected. 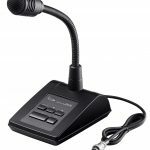 The optional UT-121 provides D-STAR DV mode digital voice and low speed data communication. Linking of D-STAR repeaters over the Internet allows you to communicate virtually anywhere. In addition to 2M, 70cm and 23cm band, the D-STAR DV mode can be used in 10M and 6M band simplex mode. The built-in RTTY demodulator and decoder allow you to instantly read a RTTY message on the display. No external units or PC required. The built-in tuning indicator visually helps in critical tuning. Much like the technology in Icom’s high-end HF transceivers, Icom has used a double conversion superheterodyne system* and an image rejection mixer in the IC-9100. The IC-9100 has dedicated receiver circuits from the antenna connector to the 2nd image rejection mixer for each band, and this improves inband IMD characteristics by simplifying the electronic circuitry. * A triple conversion system is used for the 23cm band. Using receiver design techniques introduced in Icom’s highest grade HF transceivers, the IC-9100 has an IP3 of +30dBm (typ.) in the HF bands. In the VHF/UHF bands, the Icom IC-9100 also provides improved IP3 performance over the previous models. The Icom IC-9100 comes with a built-in 15kHz 1st IF filter and can accept up to two optional filters (3kHz FL-431 and 6kHz FL-430). By changing the first IF filter width according to the operating mode, the desired signal is protected from adjacent inband signals at the later stages. The 3kHz first IF filter is especially effective in the CW and SSB modes. The internal antenna tuner automatically tunes for low SWR in the HF and 6M bands. Once you transmit on a frequency, the tuner can instantly retune the frequency using its built-in memory. Two antenna connectors for HF and 6M bands, with an automatic antenna selector, and one each for 2M, 70cm and 23cm* are included in the IC-9100. The IC-9100 uses high efficiency power amplifiers and large heat sink, providing stable output power even during long periods of operation. The Icom IC-9100 DSP allows you to “build your own” digital IF filter. You can quickly choose bandwidth, shape factor, and centre frequency, so that you can work that rare DX station. Three filter memories allow you to change filter settings instantly, a great help during contesting or other tough conditions. After “building your own” digital IF filter, you can use the digital twin Passband Tuning (PBT) to shift and narrow the IF passband until the interference is gone and you can clearly hear that weak signal. 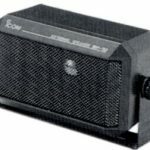 The 16-step variable noise reduction can significantly enhance the receiver’s signal-to-noise ratio, giving you a clean, clear audio signal that may make the difference between making the contact. • Channel name • Function key assignment • Band Scope • RTTY decoder screen • Memory keyer contents • Graphical SWR scale • D-STAR call sign, message, DR list • GPS position information. Each band (HF/6M, 2M, 70cm and 23cm*) has a total of 99 memory channels for storing frequencies, mode and other information. The IC-9100 has 6 scan edge channels for programmed memory, and a call channel for each band. The IC-9100 has a standard type B USB connector and can be connected to a PC. Modulation input, audio output, RTTY demodulator output and CI-V command can be controlled via the USB cable. 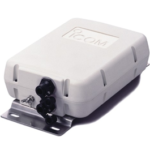 Also, the conventional CI-V remote control jack is built in to the IC-9100.